I have make weapons medieval, I still show you my masters some completions. Then I will make moulds in order to make specimens. 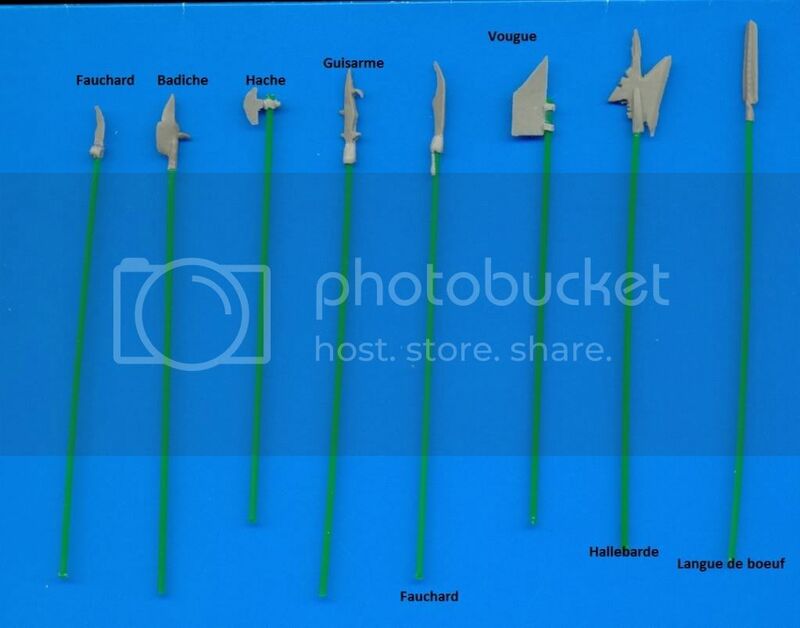 1) Is it preferable to make the specimens of the weapons out of metal or hard plastic? 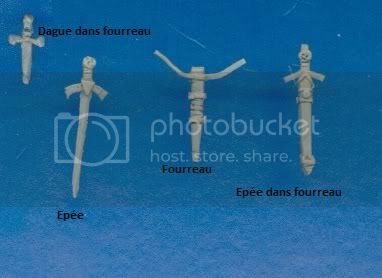 For those which will be to interest I would sell moulds or would exchange pullings of the weapons. Well the pole weapons looks fine, but the swords look to rough in my opinion. If you compare these to the weapons/scabbards made by Alex or Dimitriv there is a difference. You see is the first time that I make weapons and accessories, I am that a simple amateur and not a professional sculptor or a sculptor which has years of experiment I am that initial for me is my first weapons & accessories. One is obliged to make weapons is even bus in certain references of certain marks there are no weapons. That I want to know if it is preferable to make pullings out of lead or plastic or resin, thank you.